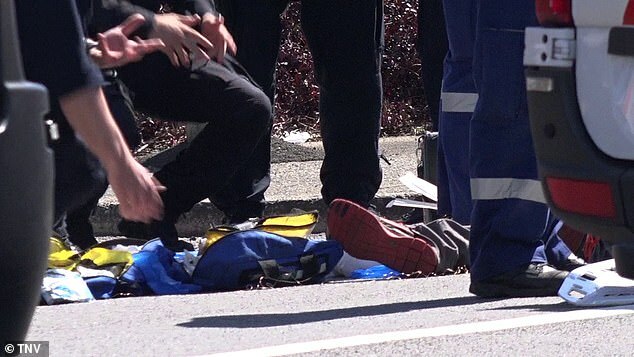 The man who was stabbed while trying to end a violent crime spree across Sydney is recovering in intensive care after multiple surgeries to tend to his wounds. 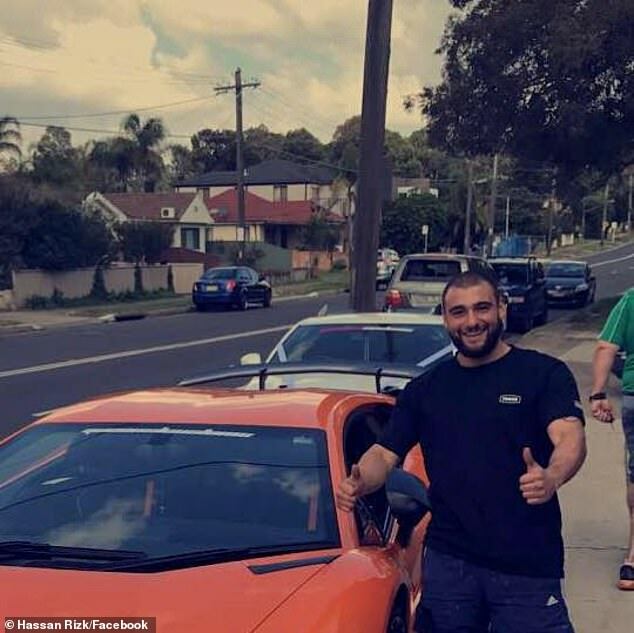 Hassan Rizk was on his way home from his daily gym session in Rockdale in Sydney’s south on Friday afternoon when he witnessed an attempted carjacking. 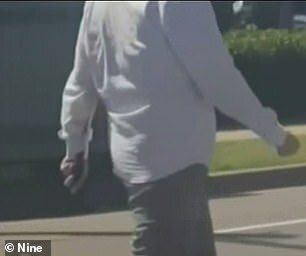 New footage shows the Good Samaritan rushing into the affray when he realised the assailant had a knife. 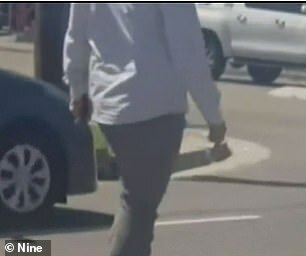 ‘Why you carrying a knife, bro?’ he asked in the extraordinary footage aired on Nine News. 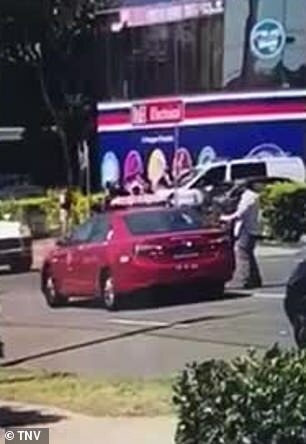 Fakah initially ignored him as he continued to make his way down the street, but when Mr Rizk asked another bystander to call the police, he turned around and attacked. 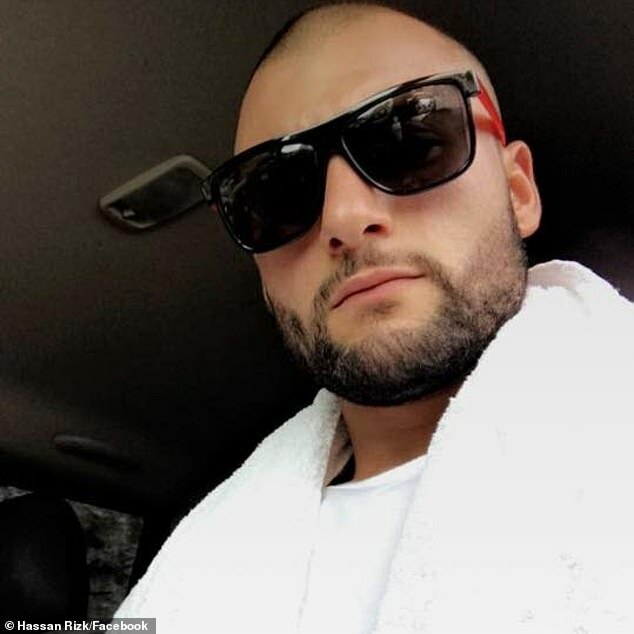 Mr Rizk’s brother told Daily Mail Australia the surgeries so far have been successful, but the family now face an agonising wait to determine the extent of his injuries. 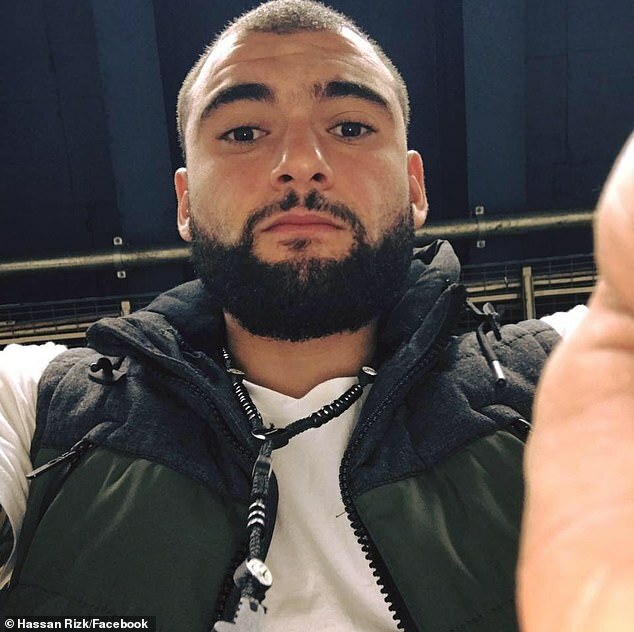 Video shows the moment Mr Rizk dropped to the ground in agony after he was stabbed in the abdomen. Bystanders then attempted to stem Mr Rizk’s blood flow while they waited for the ambulance. 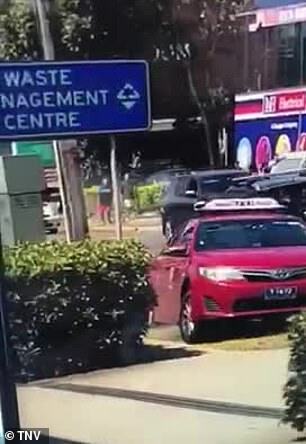 As they did, the offender forced a taxi driver out of his vehicle and used it as a getaway car. He drove north to Arncliffe where he was confronted by police outside St Francis Xavier’s Catholic Primary School. He then stabbed himself in the chest and died. Mr Rizk, a plumber who lives in Bexley, was rushed to St George Hospital where he underwent emergency surgery on Friday night. That surgery was followed by another on Saturday to mend a blood vessel tear on his liver, his father Ali told The Daily Telegraph. 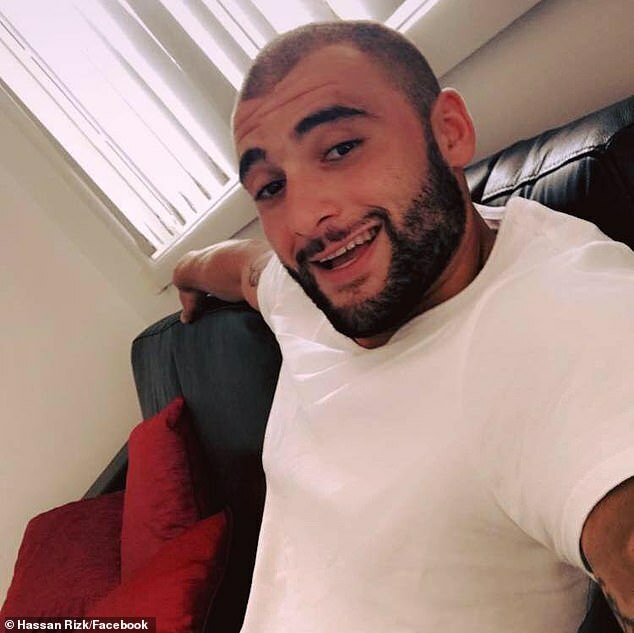 Mr Rizk’s father, Ali, also said that while the family is now focused solely on his son’s recovery, he was not shocked to learn of Hassan’s heroics. ‘I brought (my children) up in a good way and taught them to help people regardless of race or what country they came from,’ he said. ‘He has been taught to get into the situation and attempt to diffuse it if he can, and he did that with no consideration to himself,’ he said. 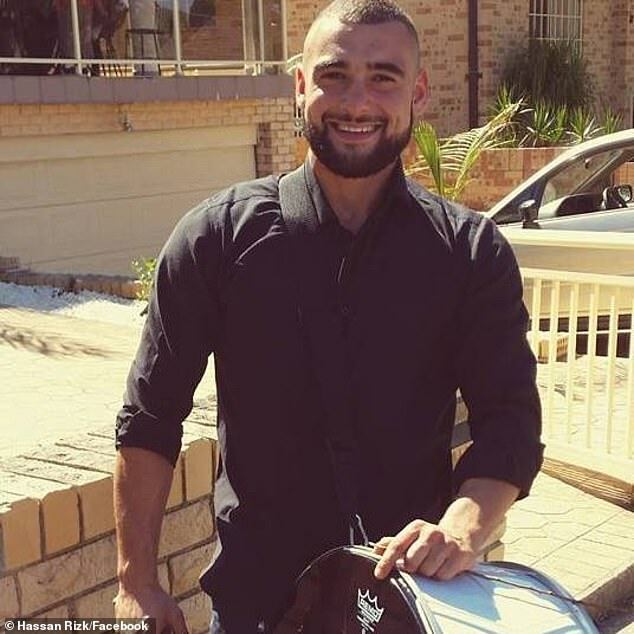 Mr Rizk’s brother Jamiel told Daily Mail Australia the family appreciates the support they have received. Ali Rizk said his heart went out to the assailant’s family, who despite everything had now lost a loved one. 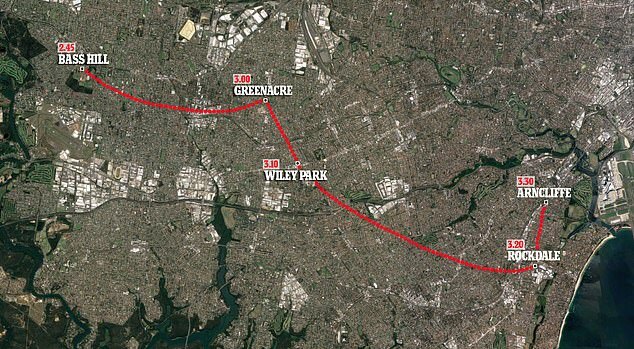 He went on to say the length of the police chase, which extended beyond 45 minutes, was inexplicable. ‘I don’t know what the police excuses were or what their situation was but it could’ve been avoided,’ he said. 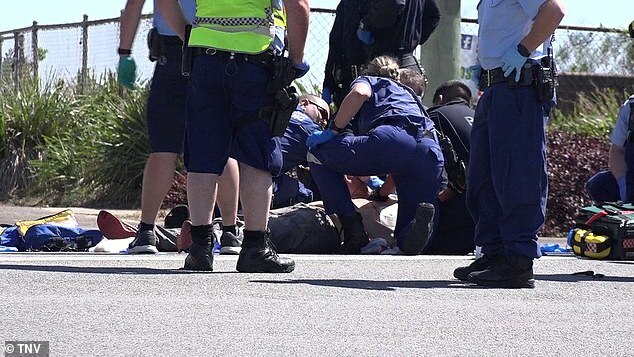 The chaos began when police tried to pull Fakah over on the Hume Highway in Bass Hill about 3pm on Friday. They expected to issue an infringement notice because wasn’t displaying number plates. 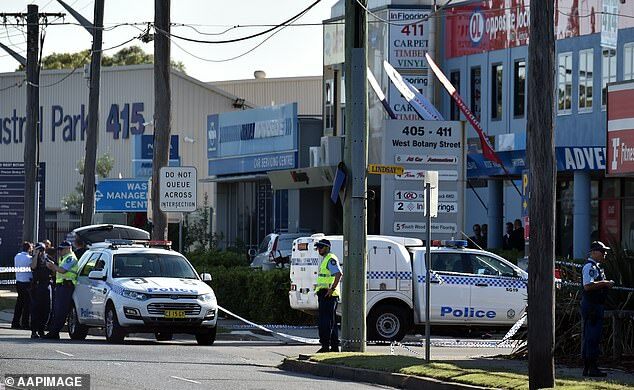 Instead of stopping, the 24-year-old rammed a police car and kept driving before ditching his silver ute in Chullora and stealing a Woolworths delivery truck. Fakah then fled toward Wiley Park, ricocheting off at least four parked vehicles as he attempted to evade pursuing officers, and later to Rockdale where the stabbing occurred. He was finally cornered on Forest Road in Arncliffe about 3.30pm, near St Francis Xavier’s Catholic Primary School. Police armed with tasers approached him at the intersection of Wardel Street and Forest Road. But before police had the opportunity to arrest him, he repeatedly turned his knife on himself. Officers gave him first aid but he died at the scene. A white sheet was seen placed over the body. Fakah was known to police. It is believed he was known prior due to extensive mental health issues. NSW Police Acting Assistant Commissioner Mick Fitzgerald said he had a ‘mental health background’ but not an extensive criminal history. ‘It was a man doing everything he could to avoid arrest. His actions, particularly when he stabbed an innocent person, are the actions of someone we believe who had mental health issues,’ he said. Witness Chris Burton went to Mr Rizk’s aid after he was attacked. ‘He was laying there, like, ‘I’m going numb’. It was a good knife. It went all the way in,’ he said. NSW Ambulance Inspector Jordan Emery said bystanders like Mr Burton and others and who ran to his aid helped save the victim’s life. ‘We arrived on scene to find a truck had collided with two vehicles and there was a male patient who had sustained an abdominal stab wound,’ he said. Mr Emery thanked members of the public and police for their quick-thinking. 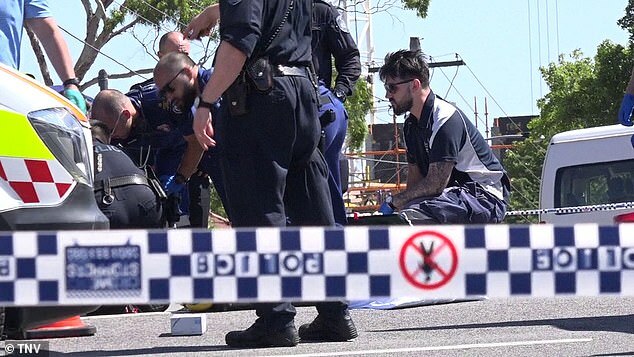 ‘It was quite a dynamic scene, there was a number of bystanders crowding around the patient, police did a tremendous job providing first aid to this male and it makes all the difference in these time critical emergencies,’ he said. Acting Assistant Commissioner Fitzgerald also praised the people who ran to help the injured man in a dangerous situation. 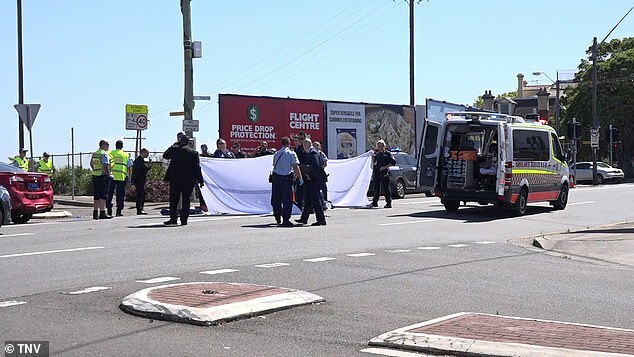 ‘Indeed, the members of the public who came to the aid of other drivers and the victim in West Botany Street are to be commended and will receive formal commendation from police,’ he said. A female driver who was in one of the cars hit by the Woolworths truck suffered minor injuries and taken to St George Hospital.